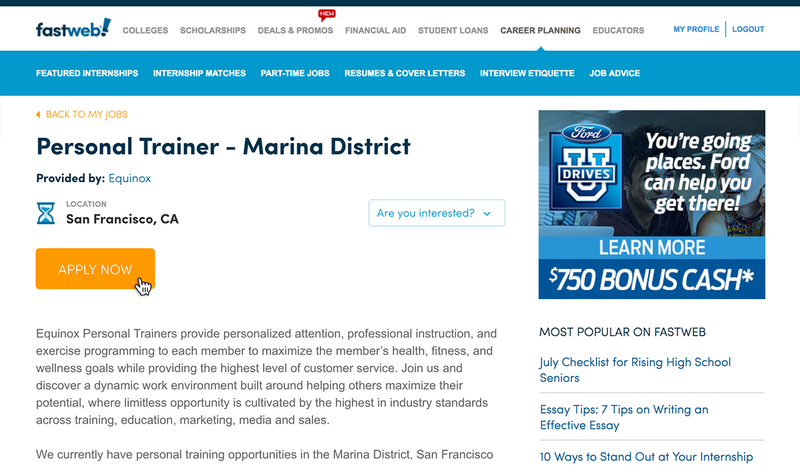 Check out Fastweb's new part-time jobs page to find your perfect opportunity today! Affording tuition as a student isn’t easy. Luckily, finding a great part-time job makes it easier. You likely already know that Fastweb is THE premier resource for paying and preparing for college and we’ve been around since 1995. We’re the largest, most updated scholarship database – but we link you to so much more than that, like internships and, now, part-time jobs, too. Thanks to Monster, now you can find great part-time job opportunities relevant to YOU on Fastweb. 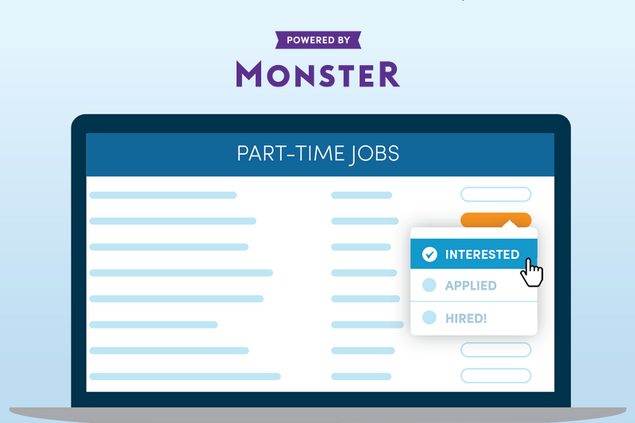 Monster is a global online employment solution for people seeking jobs and the employers who need great people. 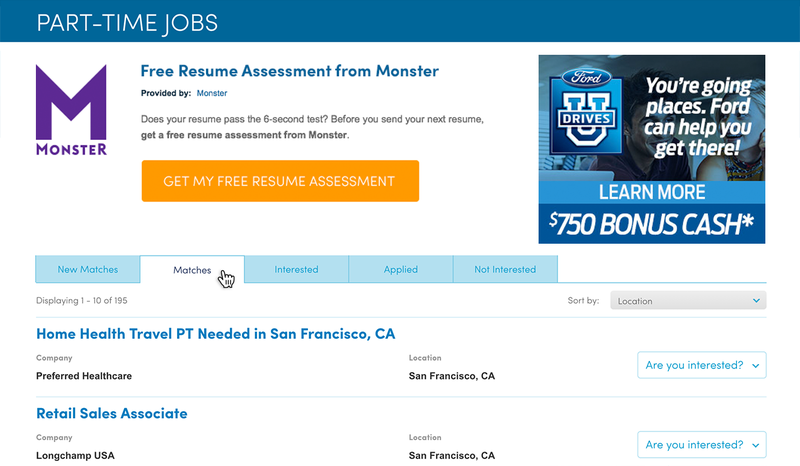 For more than 20 years, Monster has expanded roots as a "job board" to a global provider of a full array of job seeking, career management, recruitment and talent management products and services. Similar to your scholarship or internship matches, now you can find cool part-time jobs available in your area on Fastweb! 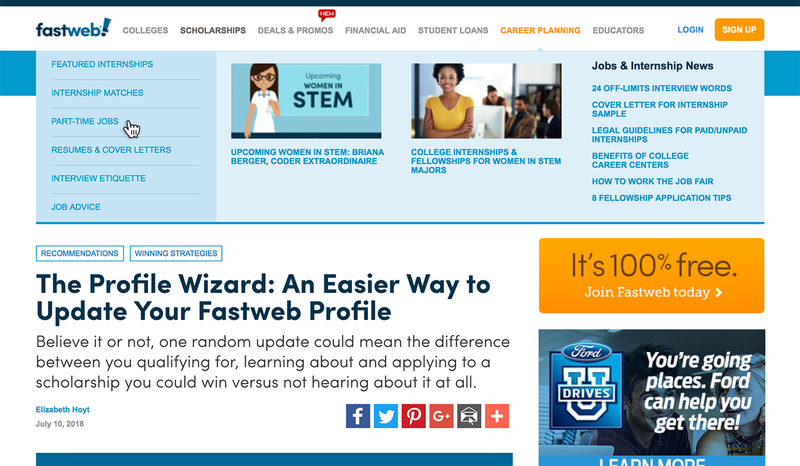 Monster’s making it possible for Fastweb to become your one-stop-shop in terms of affording your tuition bills when scholarships or financial aid aren’t enough. •	Jobs available from top industries, like retail, food services, childcare, etc. Part-time jobs can also provide more benefits than helping you pay for school. Many part-time employers also offer scholarships, tuition benefits & internships. For example, if you acquire a part-time job at food service companies like Starbucks, Mcdonald’s, Chipotle or Pizza Hut, you can also qualify for scholarships or tuition benefits. You also have better odds getting an internship there, too. Other large-scale employers, like Walmart, offer similar benefits to employees. Don’t count out the option if you’re looking for the first time. It doesn’t matter if you don’t have much (or any) experience. There are plenty of entry-level positions for all levels of experience. As long as you’re willing to work hard and learn – you’re in! You can even find a first part-time job resume sample on Fastweb. After all, you have to start somewhere and part-time employers recognize that many students are looking for their first opportunity to build up a resume or make a little extra money. Remember, your extracurricular activities look attractive to employers who know that young students may not have as much job experience as older students. Whether looking for your first part-time job (or if you have experience under your belt), there are plenty of options for students of all ages available. Check out part-time jobs on Fastweb to find your perfect opportunity today.